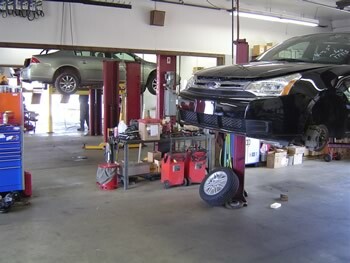 We are able to accurately set 2 and 4 wheel alignments with our state-of-the-art Hunter alignment machine. We are open to serve you Monday-Friday, 8:00am - 5:30pm. 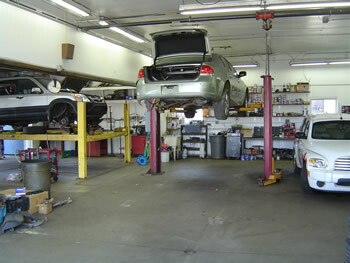 Call 269.323.9855 to schedule your service today. I am thrilled with the service I received here. I was a persnickety customer, I wanted to make sure my parts were certified and that the sealant I'd had applied when I bought my car was done. Randy is a genius and the ladies at the front desk are kind and considerate of the fact that if you are in for bodywork, life hasn't exactly been "smooth sailing" recently. I am excited to recommend them to anyone who needs bodywork. My car was sparkling on the outside and clean within when I picked it up. Thanks you guys! This was my first time going there, but I am very impressed with the customer service and work they do. They were recommended to me and I recommend them to anyone looking for car repair with great customer service. The staff are friendly and Randy truly cares about customers. Thank you! As soon as came through the door I greeted and ask what need, and as soon as they were done with the estimate they asked if I needed a loaner car, they call me regularly to keep me up-to-date on the repairs of the car, they did great work and show me pictures of the work they had to do, and when all was say and done they shook my hand and thanked me coming to them for car repair needs.